I discovered Charlotte Tilbury via YouTube a year or so ago, but only started using her products when I took a trip to Manchester and went to Selfridges, after that first purchase I was hooked. I was so excited when I found out Fenwicks in Newcastle were opening a Charlotte Tilbury counter and I have a post coming up soon about all the makeup goodies I have bought, but this post is dedicated to Charlottes Goddess Skin Clay Mask. I am slightly addicted to face masks and I use one pretty much every other day, I did a post on my Top 5 favorite face masks so check that out as well. I love clay face masks as they just seem to be the only type of mask that really draws out all the impurities in my skin and this mask claims to do that and much more. 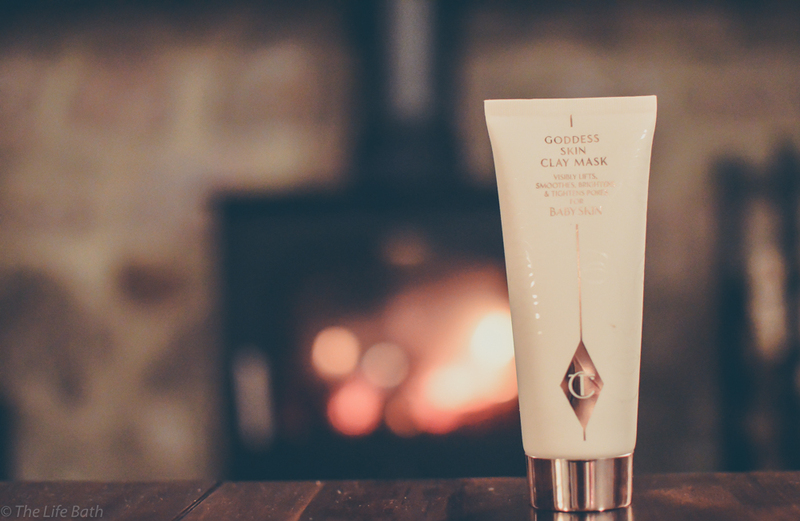 The Goddess Clay Mask is meant to heal the texture of your skin while hydrating and rejuvenating resulting in firmer smoother and plumper baby soft skin, on top of that it also reduces pores. So is it worth the hype?. The product itself has that clay / plasticine smell, but call me crazy because I love the smell of plasticine so this doesn't bother me. I also associate that smell with spa facials so it does feel like a treat when using it. It is a non-drying face mask so never feels tight or chalky on your skin. You just need a thin layer all over your face, avoiding the eyes, as usual, but I did see Charlotte herself on her YouTube channel putting it over the models lips so obviously, I had to start doing this as well and it does actually make your lips feel really nice after. I usually only use face masks at night when I am getting cozy and having a bit of a pampering, however, with this mask I have started using it before I do my make up for a night out or if I am wearing a lot of make up during the day. It is easy to just put on and then I just potter about sorting my outfit out. I then rinse it off just as I do my make up. This has worked so well because it is such a hydrating face mask that my make up just sits really nicely after I use it. I have been using this mask for 5 weeks now and I have to say that it is totally worth the hype. before I started using this I was getting really horrible little bumps on my face that weren't spots, more just uneven texture and after using the Goddess clay mask my skin does feel smoother and is definitely more hydrated. I haven't seen a massive reduction in my pores, but my blackheads have definitely reduced. I would 100% agree that it leaves you with baby soft skin. It is a crazy price for a face mask, £45 for 75ml, but as you don't need a really thick layer it does last a long time and it as it actually does what it says its meant to do then I believe it is an investment in your skin you can't pass up. Let me know if you have tried this mask yet and what you thought.